Sandwiched in between Gravity and All Is Lost, Paul Greengrass’ Captain Phillips is only one of many, incredibly well-made, gripping but grim survival tales to hit the theaters this fall—a season of soaring cinematic standards as much as of falling leaves. Impeccably constructed and surprisingly complex, the movie succeeds on all notes but one: characterization. 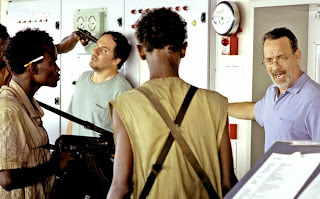 Based on the real-life takeover of an American cargo ship by Somali pirates, it offers an immaculate reconstruction of a chaotic incident, portrayed on screen with immediacy and intelligence. 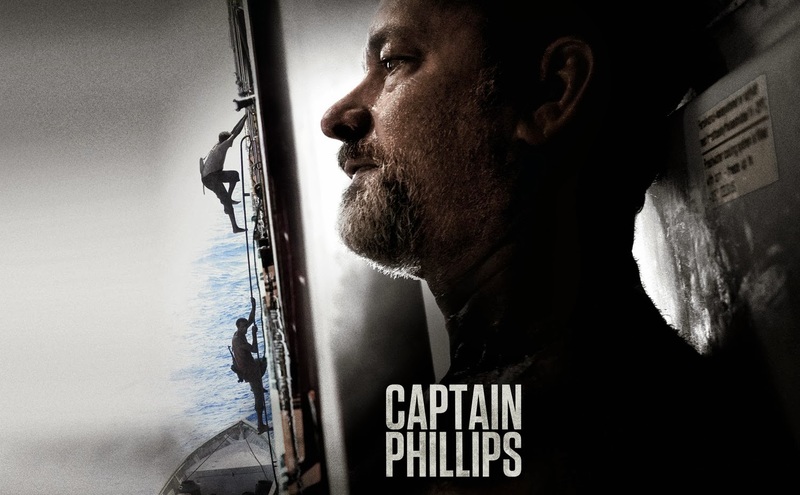 Full of kinetic energy, exciting and suspenseful, the film traces Captain Richard Phillips’ ill-fated journey on and off the Maersk Alabama in early April of 2009. The only problem is we don’t know enough about him, the journey, the ship, or the pirates to care. 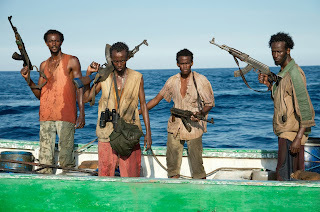 “It’s just business,” pirate leader Muse (Barkhad Abdi) keeps repeating, a phrase not actuality uttered, but reflected in the attitude of Captain Phillips (Tom Hanks, portraying the kind of quiet, commanding role Oscar dreams are made of). Curt and professional towards his crew and extremely attentive to security measures, the title character is a civilian tasked with getting a huge cargo ship safely from Oman to Kenya down the Horn of Africa. It’s clear he just wants to get the job done as quickly and effectively as possible. The story evolves against a volatile political backdrop the kind Greengrass has shown a preference for (Bloody Sunday and United 93 complete the director’s loose trilogy of average individuals caught in the throes of politically motivated violence). The quintessential Everyman soon to be facing extraordinary circumstances, Phillips is fully aware his ship looks much like a floating jackpot; he compulsively checks unlocked gates and runs his crew through security drills. A smorgasbord of diverse settings, languages and accents, technologies high and low, and constant movement from one place to another grab hold of you from these very first scenes, an elegant and economical exposition handled gracefully by Greengrass and cinematographer Barry Ackroyd. Presenting the hulking, graceless container ship plod along the high seas and comparing its size to the Somalis’ small, ill-equipped skiffs, hardly more than specks on the horizon, Greengrass captures, in one image, the essence of the conflict. Captain Phillips, without an ounce of didacticism, deepens, brilliantly and unexpectedly, into an unsettling look at global capitalism and American privilege and power. Although the filmmaker pits African locals against Americans, boiling down to a finale that involves Navy SEALs, U.S. choppers and warships, he focuses on the reality of impoverished young men pushed to extreme, agonizing measures instead of vilifying the pirates. Phillips is undoubtedly the hero we’re supposed to root for, but the movie steadily, almost stealthily, asserts the humanity of his captors, untrained and malnourished villagers with gaunt, angular faces, stained teeth and wild eyes. “I have bosses,” one of the pirates explains of their demands, as if he were an intern ordering a coffee for his supervisor. Nothing more than a low-ranking functionary in a vast piracy hierarchy, Muse attacks the opportunity to take over Phillips’ ship with the hungry intensity of a man who has been oppressed and now has a chance to play the oppressor. “Look at me,” he tells Phillips, staring steadily into his eyes. “Look at me. I’m the captain now.” The pirate establishes a measure of rapport with Phillips, a silent understanding of each other’s plans, priorities, strengths and weaknesses. The standoffs between Hanks and Abdi bristle with quiet electricity, although Greengrass affords little three-dimensionality to the other pirates, including hothead Najee (Faysal Ahmed) and scared teenager Bilal (Barkhad Abdirahman). The first, and best, half of the movie is devoted to the captain’s clever attempts to protect his men. In a suspenseful, carefully choreographed cat-and-mouse game, Phillips tries to stall for time as the crew hides in the engine room. Hanks excels at showing us exactly what’s racing in his character’s mind while maintaining an almost ridiculously calm and friendly façade. A detached, plain-spoken taskmaster, Phillips is forced by script and circumstance to thrust himself into the mold of self-sacrificing hero. 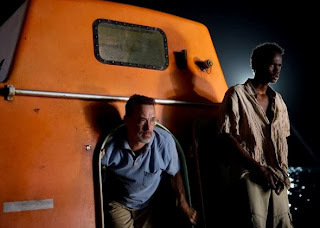 Around the midpoint of the movie, the pirates escape with $30,000, all the money in the cargo ship’s safe, and their most valuable asset, Captain Phillips, in an ugly, orange lifeboat in which tension, temperature and tempers will escalate. Greengrass collapses the comparative expansiveness of space on the ship into a crucible of claustrophobic chaos, a cramped floating coffin. The film’s finale might be the saddest happy ending I’ve ever seen. Big men with big guns do their job—isn’t that what everyone in the film is trying to do?—but the victory feels hollow, leaving you in a state of dread and anxiety rather than excitement, not unlike the perfectly, purposefully anti-climactic ending of Kathryn Bigelow’s Zero Dark Thirty. Even more powerful than Captain Phillips’ rescue mission itself is Hanks’ stunned response and the emotional aftermath, which dismantles every notion of macho Hollywood heroism. The shattering rendering of shock is unique and extraordinary in its subtlety, simplicity and wordless silence. The attending nurse offers Phillips routine reassurances, just doing her job as best she can, which was every character’s purpose. The world has gone back to normal; Captain Phillips has not. Aided by the racing camerawork, Henry Jackman’s throbbing electronic score and the crackerjack editing by longtime collaborator Christopher Rouse, the film rips along without relinquishing its grip. Its greatest asset, however, might be its biggest weakness. 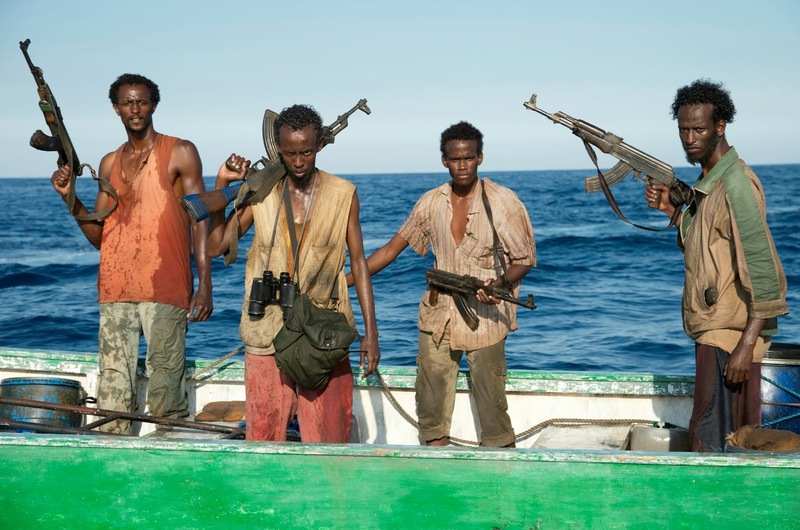 Captain Phillips’ irreproachable style shakes you up more than its story. The captain is first seen in a postcard-perfect white Vermont home and then sharing concerns for his children’s futures and a fast, scarily changing world in general with his wife (Catherine Keener). The sole purpose of this slightly awkward, gratuitous scene is to underscore the character’s decency, humanity and vulnerability. That it succeeds at all is a testament to the actors’ likeability more than anything else, and no other attempt is made to endear Phillips to the audience. His actions throughout the film are noble and brave, demonstrating a deeply ingrained sense of honor and duty that go beyond any sense of responsibility or obligation. If that sounds at all familiar, it’s because his character is never developed past the point of the principled, upright guy of countless movies past. Hanks is an actor with an innate ability—unequaled by any of his contemporaries— to convey a sense of old-fashioned American decency just by his presence in the frame. But is that presence enough to make us care whether Phillips lives or dies? The audience cares about him out of a sense akin to the character’s own dutiful behavior—because caring seems like the right, honorable thing to do, not because there is any reason behind it. Connecting to an onscreen character should not be a matter of obligation for viewers.